CKR SG3 SHIFTER KART WITH SWEDETECH ROX 125cc...Loaded with many Racing Options. Call for details!! Competitive Kart Racing – CKR – is among the popular European chassis brands. The Italian-based company has a tradition of award winning manufacturing and engineering since 2000, and they introduced their own chassis brand in 2005. While young when compared to other brands in European and world competition, CKR continues to excel on and off the track, establishing a strong dealer network around the globe. 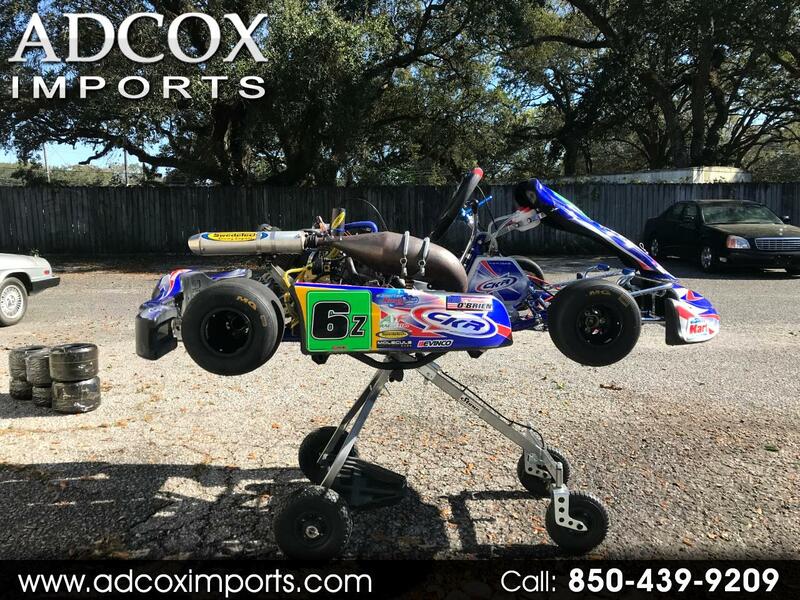 The CKR chassis models range from a gearbox model all the way down to Kid Karts, providing multiple options for racers of different ages and speeds. The premier chassis – the SG3 – was developed for the KZ categories. It works very well, reaching a high level of performance, with any type of tire. Sniper Castor/Camber adjustment is standard on all models. The SG3 is equipped with square rear bearing cassettes from maximum rear grip. Two front torsion bar hangers allow for optimum frame tuning to adapt to any driver under many conditions. Message: Thought you might be interested in this 2017 Special Custom.